Hey! Didn’t Spider-Man ya know in Avengers: Infinity War? Of course he’s coming back, and pretty soon after Avengers: End Game comes out the end of April. 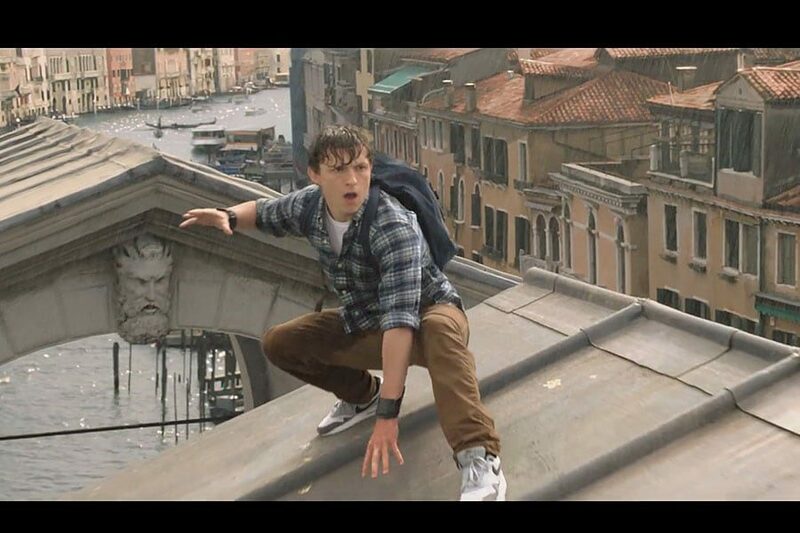 The trailer pretty much ignores Avengers stuff and just shows us what’s going with Peter Parker. He’s heading to Europe for the Summer and it should be pretty interesting! Jake Gyllenhaal certainly looks a bit silly but perhaps it will look cool when you see the final product. The movie is directed by Jon Watts and written by Chris McKenna and Erik Sommers. The movie stars Tom Holland, Michael Keaton, Jon Favreau, Zendaya, Marisa Tomei, Jake Gyllenhaal, Cobie Smulders and Samuel L. Jackson. The movie comes out July 5th.